The heating cable is flexible and so can be placed in and around the bearing or in areas that would normally be inaccessible. The Heating Cable component comes in 120- and 240-volt formats. The Alligator is a meter with six-inch alligator clips that allows the constant monitoring of the heating cable. In a concrete slab or under a tile floor, electric heating cable is usually laid in a serpentine pattern in the concrete or thinset. One of Wartsila's core competences is the ability to design and tune the DEH system according to the pipe and heating cable needed for the subsea conditions. The companies have over 30 years' experience in research and development, manufacturing and applications of mineral insulated wiring cable, heating cable, thermocouple cable and many kinds of plastic heating cables. 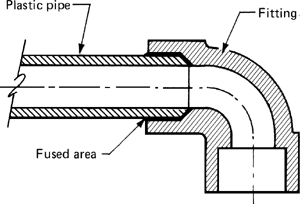 A heating cable attached to the pipe keeps the water at the desired temperature. As we reported in September, nXheat consists of sheet insulation wrapped around the barrel and induction heating cable that is wound in a spiral over the insulation. The Norwegian oil company Statoil ASA said on Tuesday (17 June) that it had awarded Nexans Norway AS a NOK125m contract for electrical heating cables, heating cable risers and protective equipment. The heating cable is typically on a reel in the store, and the customers cut off only what they need. Other systems come with the heating cable preformed on to a roll out mesh mat. Approximately 1,600 m black steel pipe as heating cable, Dn 15-dn 100, Ca 3,800 m stainless steel pipe as heating cable, Dn 15-dn 25, Approximately 500 m black steel pipe with corrosion protection as cold water pipe, Dn 15-dn 80, Approximately 150 m stainless steel pipe as air conditioning cold water pipe, Dn 15-dn 40, Approximately 70 st.